What is No-Sort Recycling? 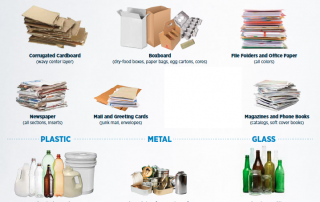 Zero-Sort Recycling is a state-of-the-art process which enables paper, cardboard, plastic, glass, and metal cans to be collected together in one bin without the need to separate. Can I throw everything into my No-Sort Recycling bin? NO. Your No-Sort Recycling bin is for No-Sort recyclables only. Items that can’t be recycled should be tossed into your trash bin.